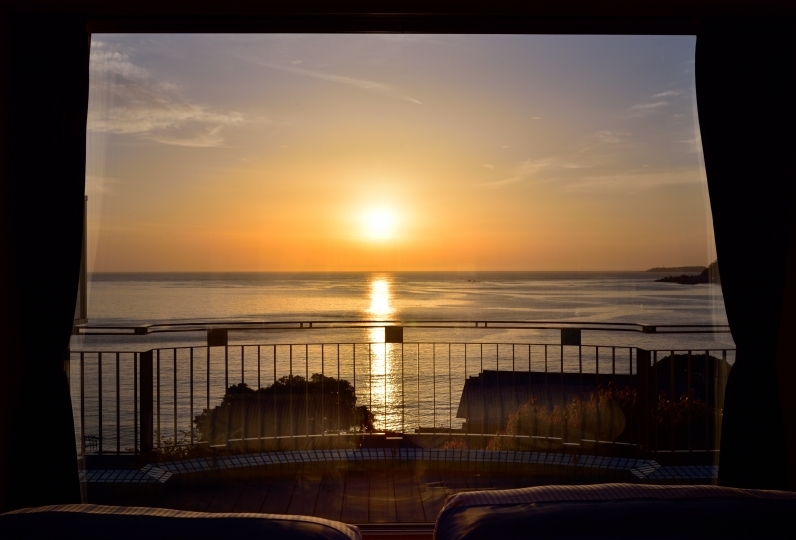 The salon ocean view bath and  Infinity pool are open on Feb 7th. 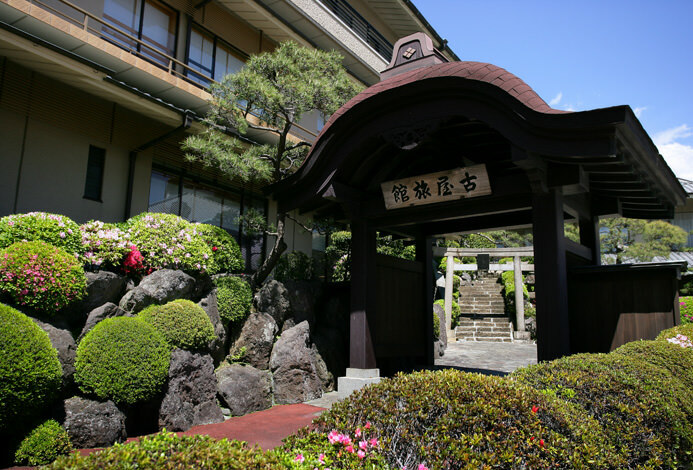 UMITO VOYAGE ATAMI hotel is located by the wharf. You could enjoy ocean view from each guest room in this resort hotel. Superb view spreads out instantly at the moment you enter the room. 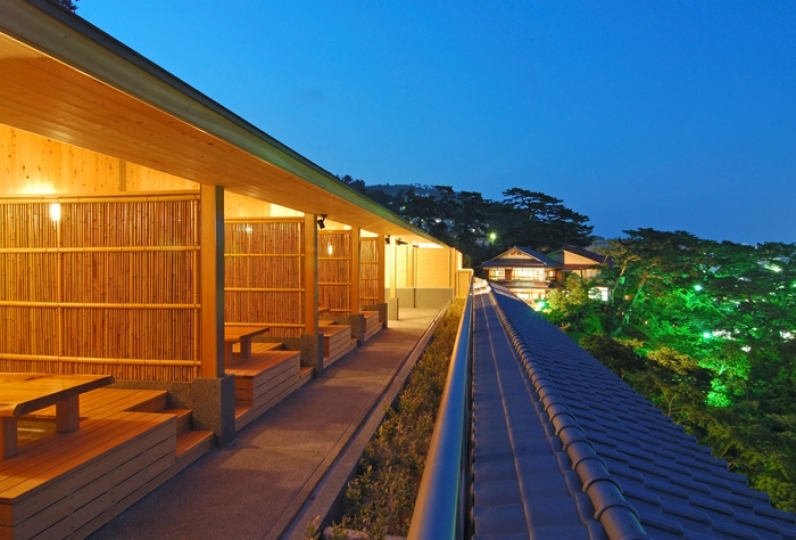 If you choose terrace room with open-air bath and hot spring, the whole sky of stars is complimentary view! In terms of dining, the breakfast uses Izumi local seasonal ingredients for dinner course and healthy breakfast based on Chinese medicine. 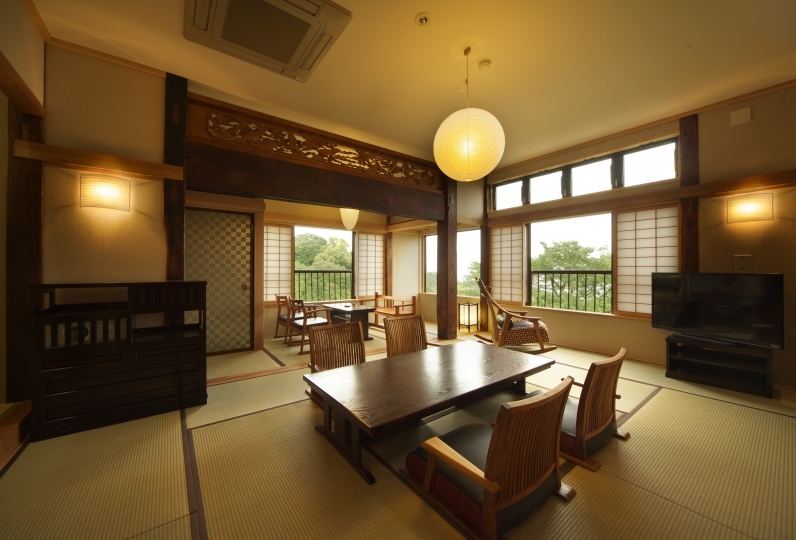 All the guest rooms are condominium style with kitchen, laundry and washing machine with wash dryer. 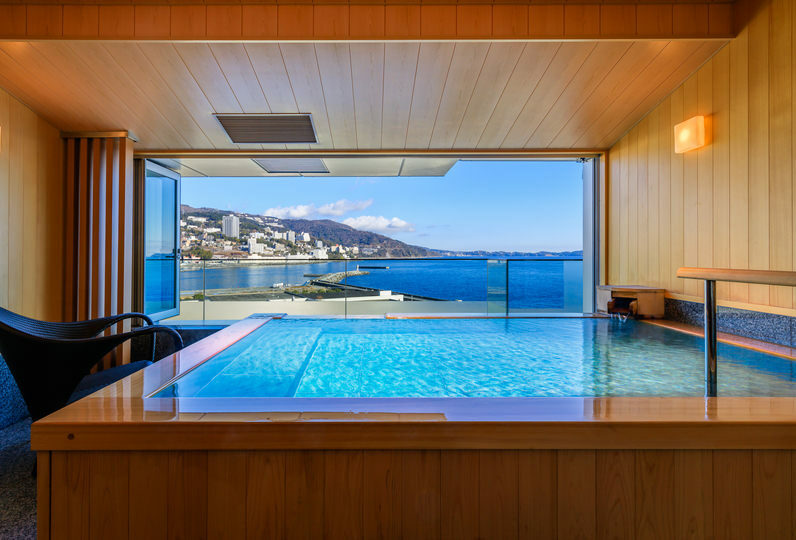 You will have an unforgettable premium stay by the sea at UMITO VOYAGE ATAMI hotel. Everything else was great and only the food was a bit disappointing. 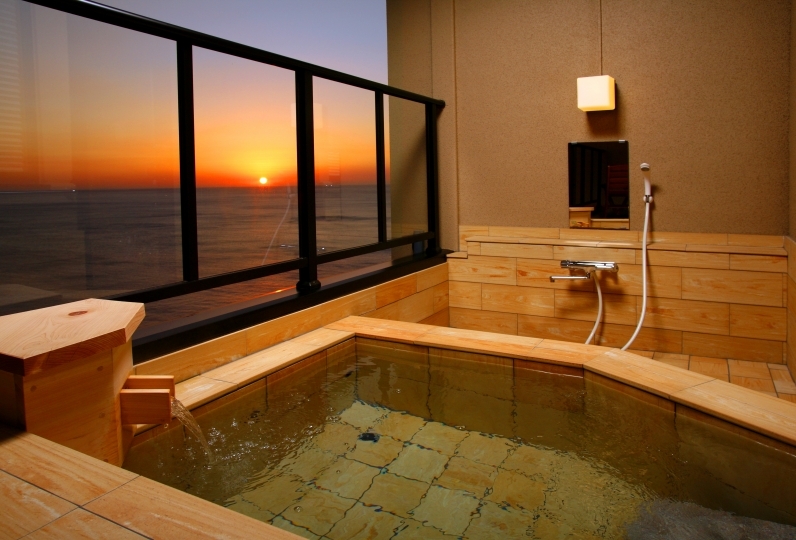 We use hot spring hotel of the same price setting frequently. The content of the meal is clearly inferior in comparison. The amount is not too much, the food is delicious, but the content is expected to be great. The attitude of customer service is grateful to those who attend us for their kindness in responding to our request (after-meal snacks). If you do not have a telephone in the room, you will be in trouble if you have something to ask. Service is also not good for the price. I think that the facilities are new but good ... Dinner is also disappointing with an amateurish taste for the price. As a woman, if you have basic cosmetics ready, you should display as such. The luggage is slightly reduced. Breakfast was good with no other type. This time it was a really good trip. We are very grateful to the staff for responding to very detailed requests. Especially the rooms were wonderful and I felt like I was relaxing in the villa. Thank you very much. The ride takes about 20 minutes and 280 Japanese yen for the ticket fee.